It seems like it's becoming a tradition for us to collect a bunch of nice mwave photos, then sit on them until almost the end of the year and publish a huge group of them at once. Here is a link to our similar post from 2010. I guess it's not much of a tradition if we only did it twice. But twice is more than once. 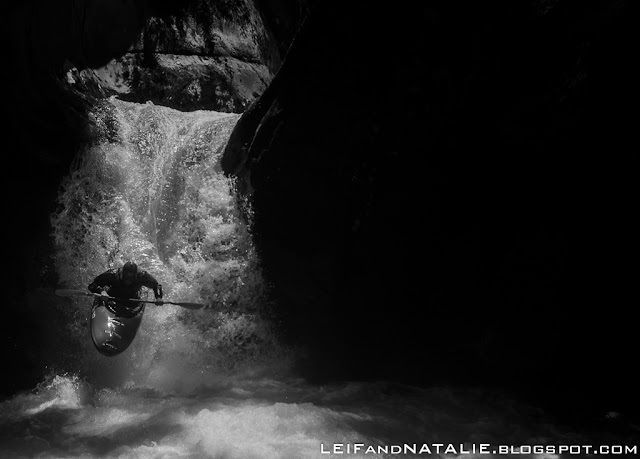 It's interesting to see the progression in paddling and photography, and just sort of see the changes in emphasis between the two posts. It looks like we went bigger in 2010, (maybe different levels) but the tricks and photos may have been better this year. And in our defense, the 2010 post was a collection of all our best photos from a two or three month Mwave season, whereas the photos in this post were taken over the course of two weekend trips, before the levels dropped unexpectedly. Here are a few of my favorite shots, and there is a slideshow at the end with a lot more photos. 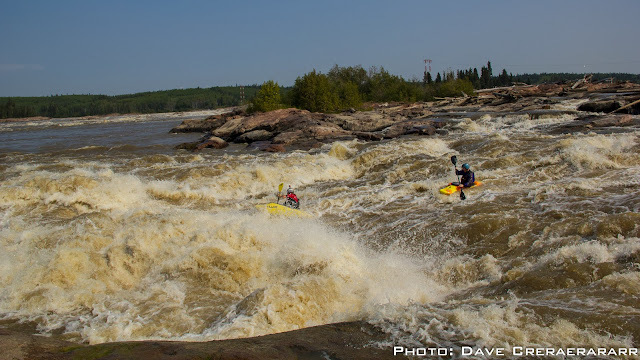 This year at the Slave river Paddlefest, we introduced a new event: the GIANT SLALOM. It's not just giant because it's on the Slave river, but it certainly helps. Giant Slalom from Leif Anderson on Vimeo. 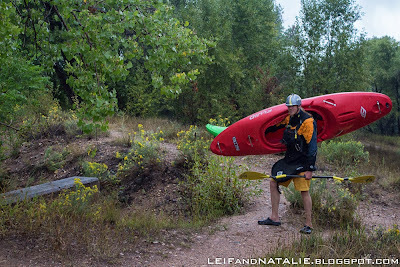 I'm in a bit of a hurry here, so first off, here's a slideshow of all the photos: Right around the historic flood that hit the front range of Colorado, there was some sick paddling. We missed out on a lot of it, since that was the weekend that our friends Alex and Alex got married in California, but we got a few runs while the water was on the way up and back down again. First, as the water was rising, Spencer and I got in a run through town on the Poudre. There were a few dams, but nothing that we ended up having to portage. It was pretty weird finding a whole new run right there in our home town. This post is a little overdue, because I've been focusing on facebook publicity lately and letting the blog fall behind. We have a new facebook athlete page (you should go "like" us). The objective is to have a way to share stuff with all those people that sent me friend requests even though we have never met. We set a goal of getting more likes than Todd Wells' facebook page. He may be a bigger deal (maybe), but there are two of us, so... I'm not sure Todd knows about this. I mean, we're not really super close friends or anything. But I'm getting off track. This March-June, we both entered Darin McQuoid's March Madness photo contest. 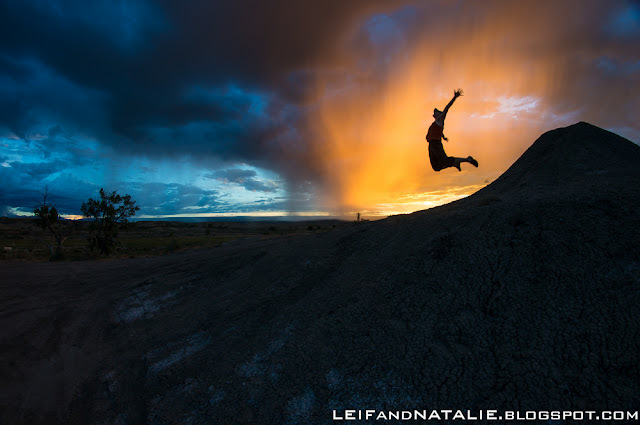 This contest is based on an old online photo contest that The Range Life blog used to host. I remember seeing the original once or twice and wishing I was cool enough to have something to enter. Well, years have passed, and now the contest is revived and lo and behold we are cool enough to have a ton of photos to enter.